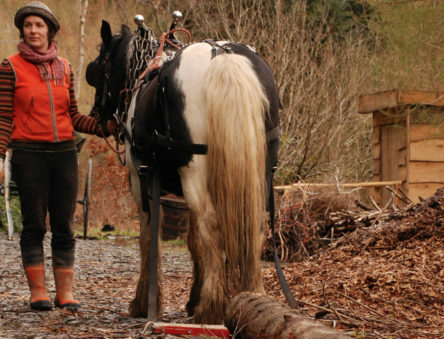 Discover the magic and wonder of working with horses in a beautiful woodland setting. 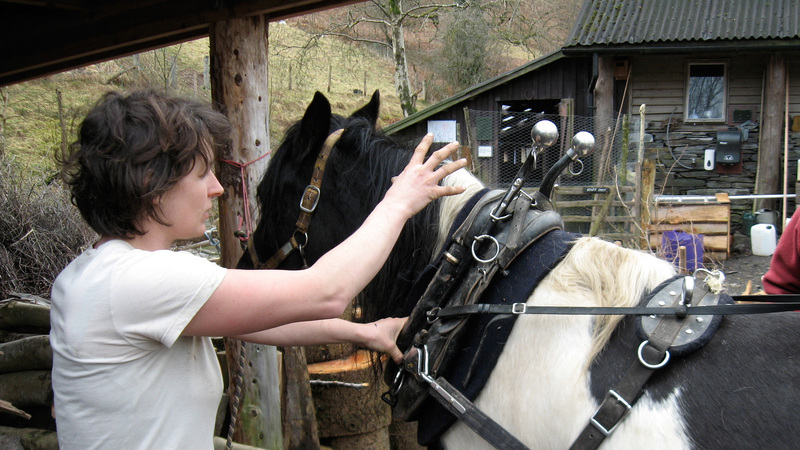 Spend a day in the CAT woodlands with experienced horse handler Barbara Hadrill and her cobs as you gain hands-on experience of the ancient art of horse logging. 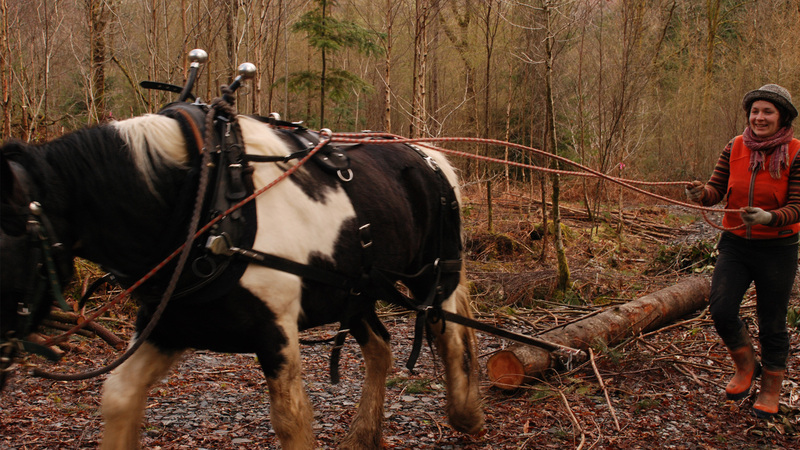 Horse logging is an ecologically sound and environmentally considerate process of managing woodland, allowing you to move logs from woodland or forest without using fossil fuels and with minimal disturbance to the woodland ecosystem. This course gives you the chance to try it for yourself whilst learning the history behind this traditional skill. 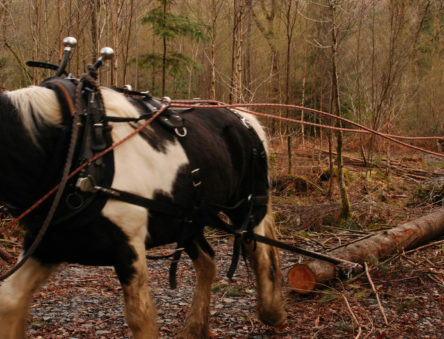 The majority of the day will be given over to hands-on training in driving a horse and gaining experience of horse logging in CAT’s sustainably managed woodland. 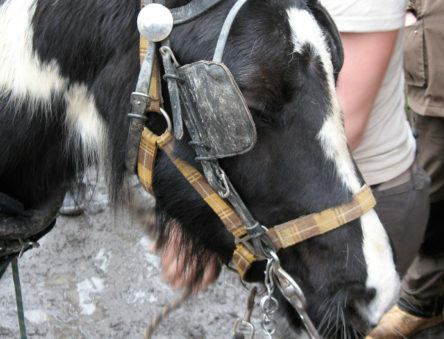 You’ll also look at general horse care and the different harnesses and equipment necessary for working horses, and you’ll explore the background to working horses in the UK, including pros and cons and the scope for using horses as part of a low carbon, environmentally sensitive economy. 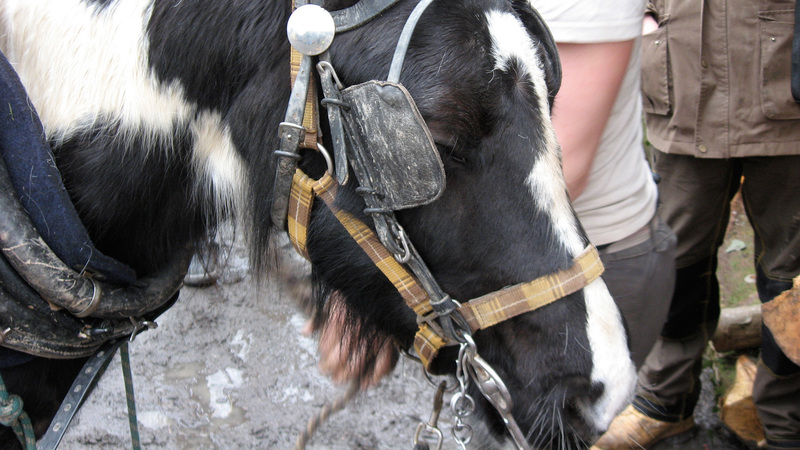 The class is limited to six people to ensure that everyone gets plenty of time working with the horses. Please bring a packed lunch or order a delicious veggie packed lunch from CAT for just £6 when you book the course. You might also like to bring a thermos flask to fill up with a hot drink of your choice. 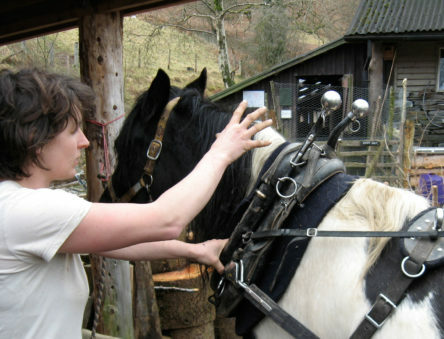 The course is led by Barbara Haddrill, a professional horse logger with over 10 years experience logging in Wales and England. 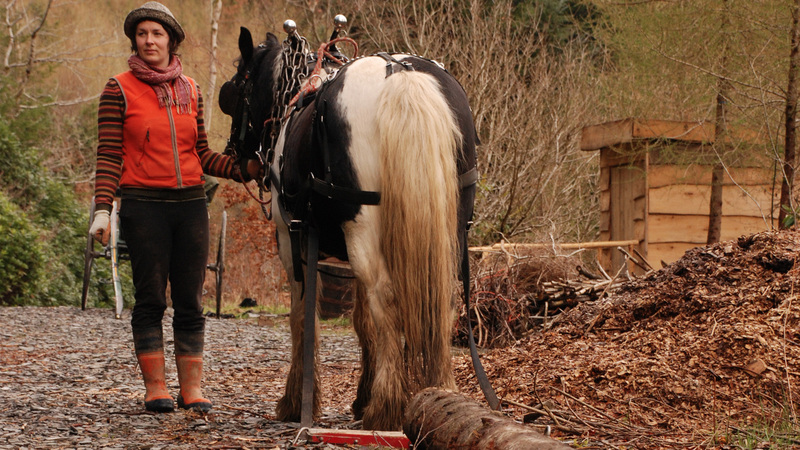 Babs and her two cob horses have worked extensively as part of the woodland team here at CAT, practising some of the latest ideas in environmentally sensitive woodland management.